Noritz Tankless Water Heater Reviews: How Does It Work? The idea behind tankless water heaters is to provide hot water on demand. They reportedly use less energy to heat the water you use and are supposed to save you money as well. 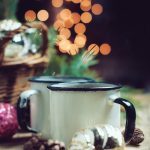 They can typically be installed in a more convenient area of your home as opposed to the giant water heaters that you often find in a garage. You can have them installed inside or outside depending on what you prefer. Noritz tankless water heaters are just one of the options you have when you start thinking about installing a system like this. Keep in mind that not all tankless water heaters are exactly the same although they do the same job. What Is A Noritz Tankless Water Heater And How Does It Work? What Makes Noritz Tankless Water Heater Unique? Noritz is just one manufacturer behind these water heating wonders. Within their line, they have several different models that will provide you with hot water that the turn of a knob. As an example, the NRC98-DV-NG is considered to be one of the best options out there because of what it can do and how it works. NG stands for “natural gas” meaning that this tankless water heater uses a fire element to heat the coils. When water cycles through the coils, it heats up. In most cases, units that use natural gas will give off fumes which makes these units better suited for outdoor installation. This model from Noritz uses a different technology to allow for indoor installation that will not result in releasing noxious fumes. In another Noritz tankless water heater, the NRC98-DVLP, the primary fuel source is propane. It works similarly to its natural gas counterpart. This tankless water heater can also be installed indoors or outdoors depending on your personal preference. There are also smaller models like the NRC661-DV-NG which also runs on natural gas. This is a better choice for a smaller living space with only a couple of bathrooms. Because of the design that Noritz uses, this one can also be installed inside or outside. There are a few models of Noritz tankless water heaters that have to be installed outdoors due to the way that they release fumes. One such model, the NRC661-OD-LP is a propane system that is a sister system to the NRC661-DV-NG, meaning that it is best for smaller living spaces, too. 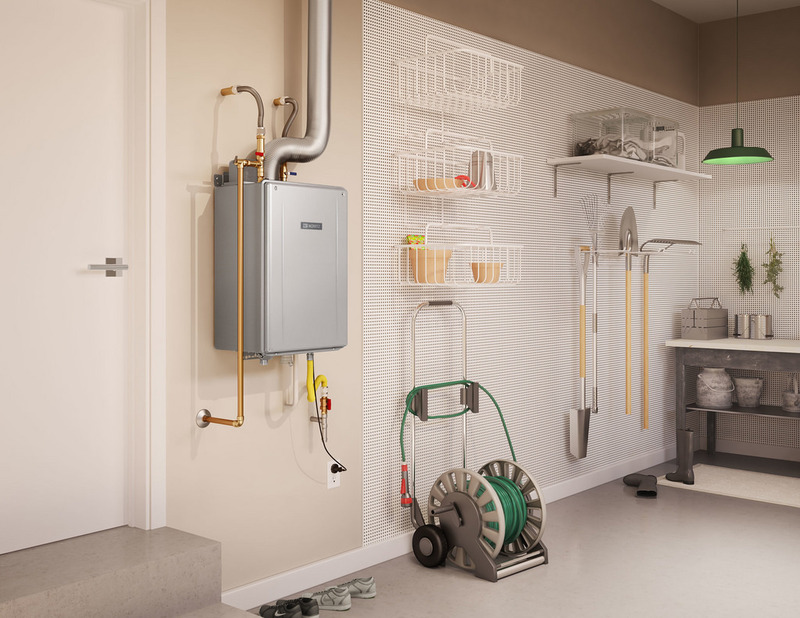 Another option is the Noritz EZTR40-NG tankless water heater that runs on natural gas. This is a great option if you’re not sure about replacing your traditional water heater because you can use existing plumbing without needing to make major changes. 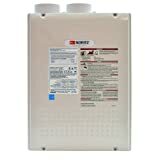 The NR501-OD-NG is another one of their tankless water heaters that can only be installed outside due to the fumes. It is made for a smaller water demand that is maybe up to approximately two bathrooms. If you have more than two bathrooms, you’re going to need a second unit to ensure enough hot water to go around. There are so many more models available from Noritz, but this should be enough to give you a brief overview of the types of options that you have from this manufacturer. Because many of these water heaters can also be installed inside or outdoors, they have a new and different kind of placement and application. 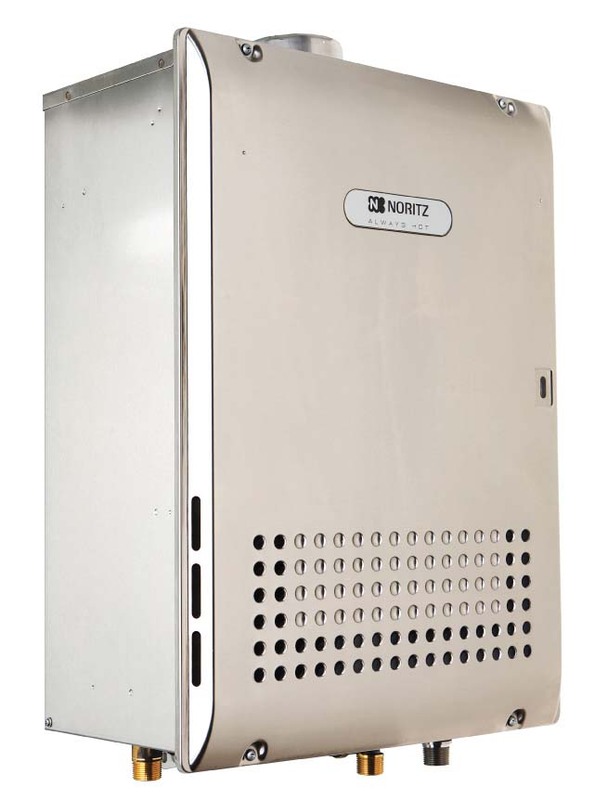 Noritz tankless water heaters are unique because many of them can be installed inside or outside without any issues. That makes installing one of these heaters on your own completely realistic. The truth of the matter is that you don’t need a professional to install one of these water heaters. It certainly wouldn’t hurt, but it will cost you significantly more if you call up a local plumber and have it installed. You can find Noritz tankless water heaters on Amazon for anywhere from $800 to closer to $1400 for the unit. Pricing depends on type and capacity. If you have the unit installed by a professional as opposed to doing it yourself, you can expect to pay up to several thousand dollars depending on what the process is going to be. The fees that are charged also tend to include the water heater disposal of your old water heater. Of course, you can dispose of the water heater yourself, but you may need to take it directly to your local dump. If you do, you’ll end up paying a much smaller fee, but you have to make sure you have the means of transporting the heater, too. If you take the time to read the reviews, and you should, you’re going to see that the majority of the reviews are positive as long as you take into account the total water capacity for the unit you’re interested in purchasing. In other words, don’t buy a unit that can handle a smaller amount and expect it to heat the water in your mansion. With regards to another Noritz model, the NRC661-DV-NG, Jonathan Park has a glowing review to report. “I did a lot of research on tankless hot water heaters before deciding on the NRC661-DV-NG. At first, I didn’t know much about brands and types, so I started looking at prices. The lower-cost heaters had generally good reviews, but I didn’t really like the idea of expensive stainless-steel venting and hot exhaust. That’s when I discovered higher-efficiency condensing heaters with simple PVC venting, just like our high-efficiency furnace. While the cost difference seems unreasonable at first, the lower venting costs, higher efficiency, and cool exhaust made the condensing heathers more appealing to me. I tried to find and absorb everything about condensing tankless heaters, from reviews to owner and installation manuals.” He goes on to say that he is very happy with his purchase and would recommend it to anyone. Interestingly enough, if you head over to Furnace Compare, you’re going to say far more negative reviews on Norwitz tankless water heaters. According to Rob Mir, “Tankless will give you constant hot water as Tanked will give you hot water that is stored in Tank depending on how many gallons your Tank is cold water will start refilling and fire up the boiler before you receive hot water again. It may take 15-30 minutes as tankless is on demand and won’t stop giving you hot water till you stop. So the truth is 6 of one and half a dozen of the other.” This customer goes on to say that it leaked three years after the initial installation and the customer experience was fantastic. You’ll also need to be aware of the temperature you expect your water to be at when it comes pouring out of your faucet. 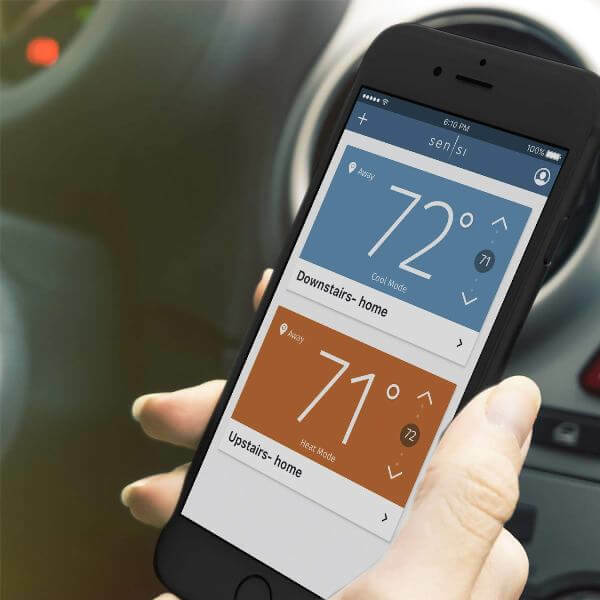 This affects the heater you choose because colder climates require more energy to reach the desired temperature. Some of the more popular tankless water heaters on the market include Rinnai, Navien, Rheem, Noritz, and Takagi systems. They’re all well-known for a reason – they’re quality systems. Homeluf compared them all to help you understand how they compare. They are all energy-star certified which is essential for the sake of efficiency and for saving money. The Navient has a faster flow rate compared to the others, and they all operate off of either natural gas or propane. 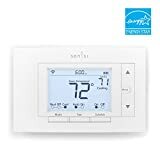 It is interesting to note that multiple models can be installed either inside or outside, but most tankless water heaters seem to be outdoor installation only. The best warranty is from Navien at a full 15 years while the rest are sitting at either ten or twelve years of coverage. Pricing varies, too. The most inexpensive option is the tankless water heater from Takagi, but it is meant for smaller spaces. The most expensive is from Navien at nearly $1700 for a unit. It is meant for a slightly larger space, but still shouldn’t be used for more than three water uses at a time. You may need more than one tankless water heater depending on how much water you want to have available for use. If you have three bathrooms, in order to maintain a steady water pressure, you’re going to have one set up for two bathrooms and a second unit for the other bathroom and maybe the washer. Overall, the idea of going with a tankless water heater has merit, but if you like to take long showers, you may be disappointed in how long the water stays hot. 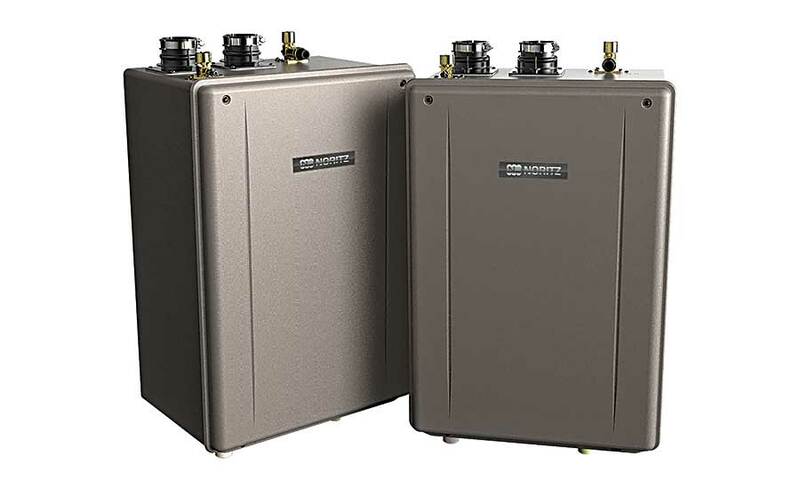 As far as the Noritz tankless water heater goes, it’s a decent choice for the price, but if you were willing to spend a couple hundred more, you could get a water heater that has higher capacity and a better warranty. Ultimately, we think it’s a good choice in tankless water heaters even if it isn’t the best choice out there. 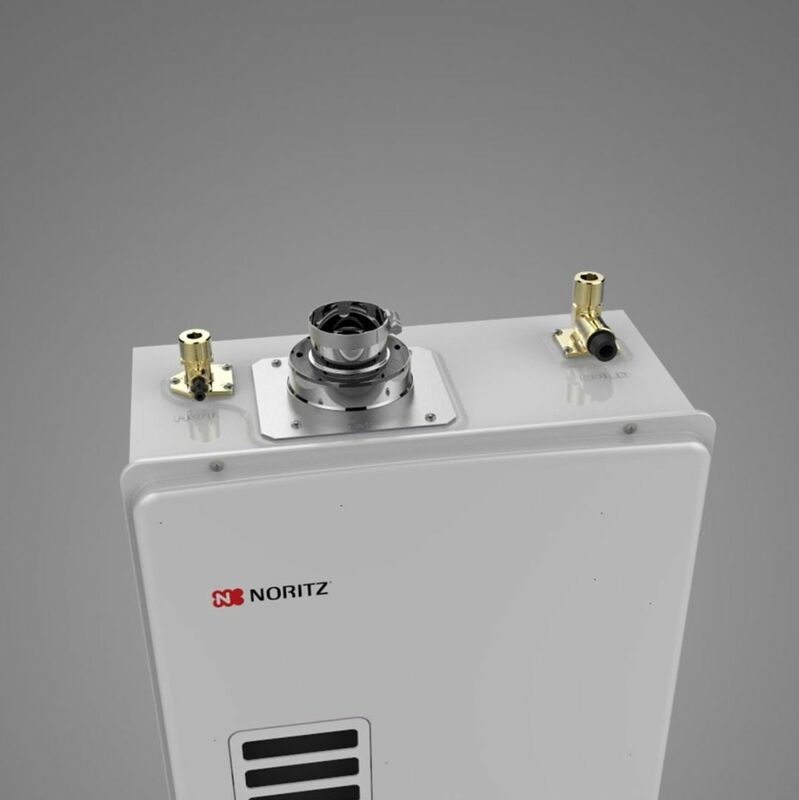 If you were to go with a tankless system, you would likely be satisfied with what Noritz will provide for you as long as your expectations are realistic. Air conditioning is clearly a first world amenity, and it has left us needing to keep cool when we’re indoors. The fresh air feels good and keeps you comfortable when you’re inside, especially when it feels like ten million degrees outside. 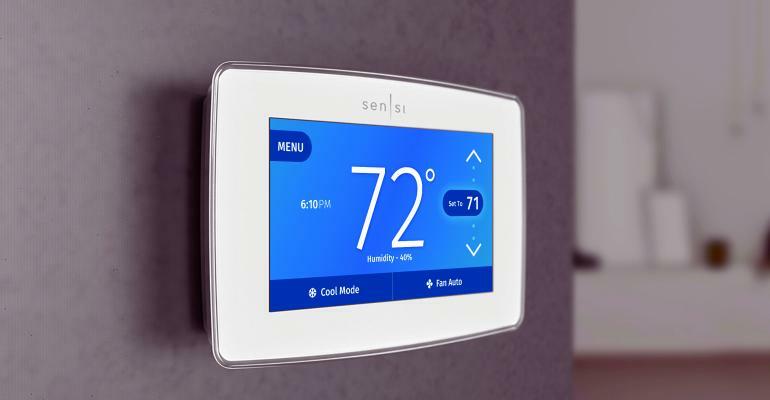 At the same time, it can be expensive to run a central air unit day in and day out, so you may feel like reconsidering if you need to save some money on utility costs. To save on those costs, many people are choosing units like the LG ductless air conditioner instead. 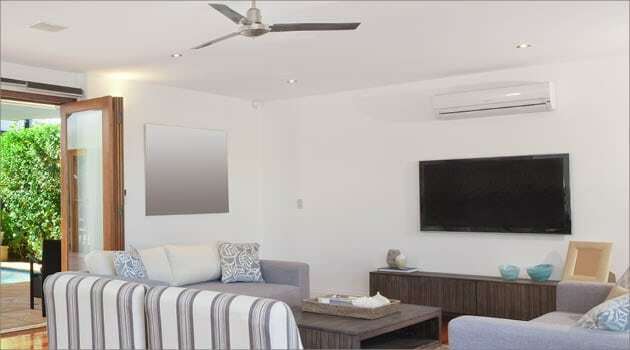 While other personal air conditioning options exist, having a ductless air conditioner allows you to cool a single room conveniently and efficiently. There are also options to be able to keep them hidden from view if you’re worried about that. What Is A Ductless Air Conditioner And How Does It Work? What Makes Ductless Air Conditioners Unique? Ductless air conditioners are air conditioners that use an outdoor condenser that further pumps cooler air indoors. The units available have different makes and models. Some are mounted directly to the wall or ceiling while others sit on the floor. In between the unit and the condenser, you’ll find a conduit that connects them. The conduit contains the power cable, a drain, and refrigerant. A ductless air conditioner works similarly to central air but in a single room. It’s a great option if you don’t want to install traditional air ducts inside your home. These types of air conditioners are also very energy efficient. There is a multitude of units available that are both single zone and multi-zone systems. All are designated by the total amount of space they can cool effectively. Among the options, you’ll find units that can cool rooms as small as 350 sq. feet and rooms are as large as 2400 sq. feet. They’re also available in modern designs and will look fantastic in contemporary homes or commercial properties. Ductless air conditioners have unique qualities that may end up being perfect for you and your needs. 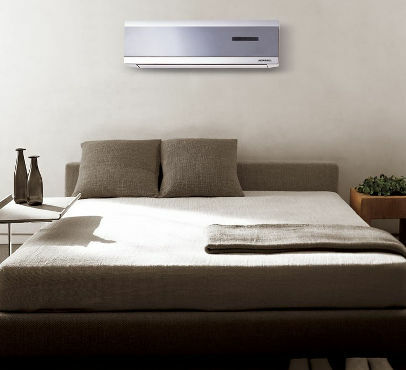 As an example, units like the LG ductless air conditioner are highly energy efficient. They tend to have a better performance compared to other A/C units. Those that are rated Energy Star-Certified are even better. Installation of ductless air conditioners is also a snap. You can call in an HVAC tech, but the reality is that you can likely install the air conditioner yourself. That makes installation cheaper, too than calling out an HVAC pro to work on a central air unit. Allergy sufferers will also appreciate a ductless air conditioner. Various types of debris can build up inside ducts leading to health issues for those that have allergies. With a mini-split A/C unit, that becomes a non-issue. If you’ve ever heard a window unit, you know that those types of air conditioners can be pretty loud when they’re running. Ductless air conditioners are exactly opposite and can operate almost entirely silently. With central air, you probably have that one room that doesn’t get cooled very well, as well as the room on the other side of the house that gets cooled extremely well. Using ductless air conditioners eliminates this issue as you can control the temperature of the rooms individually, so everyone stays cool. 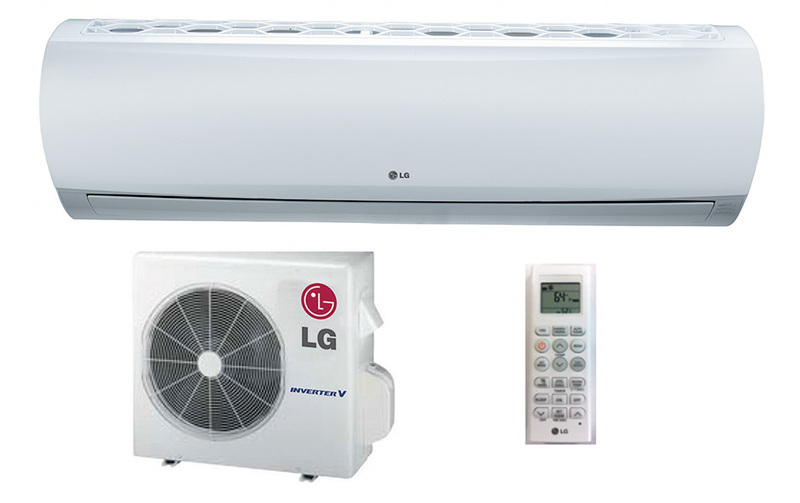 Because of the vast range of products available from LG, you can find a unit for any size room. The HYV1 and HYV2 are fantastic options for smaller rooms in hot climates. Among mid-range systems, you’ll find several different single-zone air conditioners that allow you to adjust in both design and efficiency depending on the size of the room you want to cool. The largest room recommendation in single-zone units is 1750 sq. feet. 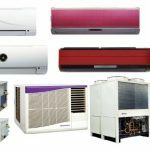 If you have a larger home or office space that you want to cool effectively and efficiently, then you can look into multi-zone systems. 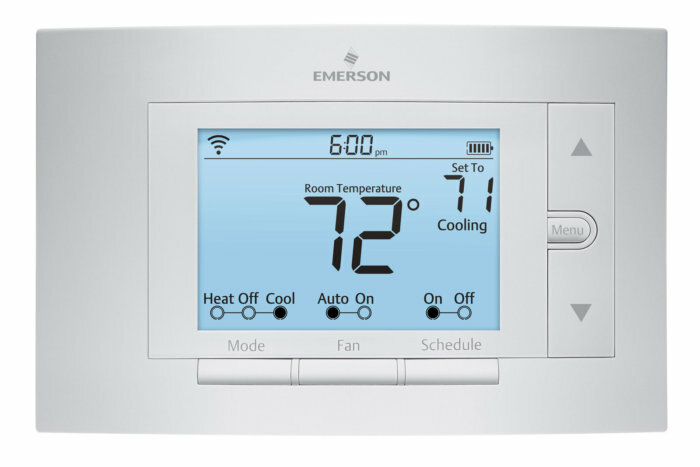 They include units that allow for both cooling and heating as needed. You can also combine them with other single-zone systems if you’d like. Finally, if you don’t care to have units mounted on the walls, you have the option of getting a ducted system. The name is somewhat misleading as the air conditioner is still ductless, but is installed inside the existing air conditioner duct system to keep it out of sight. The downside of ductless air conditioners is that they tend to be more expensive than their counterparts. Cost seems to correlate to capacity, so you can end up paying several thousand dollars for a single unit designed to cool a larger room. Some ductless air conditioners also have a heat pump option to allow you to have warm air when it gets cold out. Depending on the type of unit you purchase, you have a range of prices you can expect. Pricing for any of the LG ductless air conditioners should include considering both equipment costs in addition to the installation costs that you may incur. On the lower end of equipment costs, you can expect to pay at minimum around $1600 for the unit. For a larger unit, you can end up paying close to $8000 for a multi-zone system. Installation costs mirror the amounts that you can expect to pay with the minimum price range being between $2300-$2400 on the lower end for smaller single-zone units. You can expect the maximum to be upwards of $12000 for a multi-zone ductless air conditioning system. LG has a reputation for being sleek and modern when it comes to having the best tech and devices. They tend to be known for having outstanding products, but when it comes to the LG ductless air conditioner, there are some interesting things to think about according to multiple customers. Mission AC did some comparisons with the top models in ductless units. These included the Daikin, Mitsubishi, Fujitsu, and LG ductless air conditioners. According to them, although the LG was among the least expensive, it was far from being the best all around system. Instead, they claim that Daikin and Mitsubishi are the cream of the crop when it comes to mini-split systems. Not only does the Mitsubishi offer incredible efficiency comparatively speaking, but it is equally efficient in both heating and cooling. Daikin wins the honor of being better than most competitors because it also has more features than the LG ductless units that are on the market. It is also easy to store and install as needed. Both of these models are also quieter than the LG units, and both offer better warranties as well as customer service. Daikin has the best warranty as it is a 12-year limited warranty, but it is still better than the 5 year and 7 year warranty on the Mitsubishi for parts and the compressor respectively. LG does do fairly well when comparing the sound levels as it is the quietest of the different models. Even still, it does not have the same features or efficiency as compared to the Daikin or Mitsubishi units. These options make the Daikin models some of the best on the market. Something that you should also keep in mind is the fact that in order to purchase a Daikin model, you have to reach out to an authorized dealer. It’s the same way for Mitsubishi ductless systems. You’ll need to go to each of their websites to find somewhere to purchase these systems if these are what you want. A ductless air conditioner is a splendid option for many reasons. From overall efficiency to a lesser operational cost, there are a lot of positives for these types of units. On the positive side, because LG does have so many models available, you can easily select the one that would best fit the rooms you want to cool. It makes the application of these units feel as though they are fully customizable to your needs. At the same time, because customer service is lacking, selecting an LG ductless air conditioner feels more like a “do at your own risk” kind of choice. You need to know going in that if you choose to install one of their units, you run a good chance of dealing with a less than stellar customer service department. Truly, we feel that you’d be better off going with a different manufacturer for several reasons. The limited number of features on these systems from LG, the high costs for the units combined with the installation expenses, and the negative customer service experiences reported by consumers would indicate you should probably steer clear unless you’ve got your heart on purchasing an LG system.